If you count each number as one second, it will take you 20 seconds to make each breath. This is 3 breaths per minute, much slower than the average or 15 breaths per minute. If you feel dizzy, lightheaded or in any way uncomfortable, simply return to a normal breathing pattern until you feel better. It may take a while for your nervous system and body to adapt to this slow type of breathing. 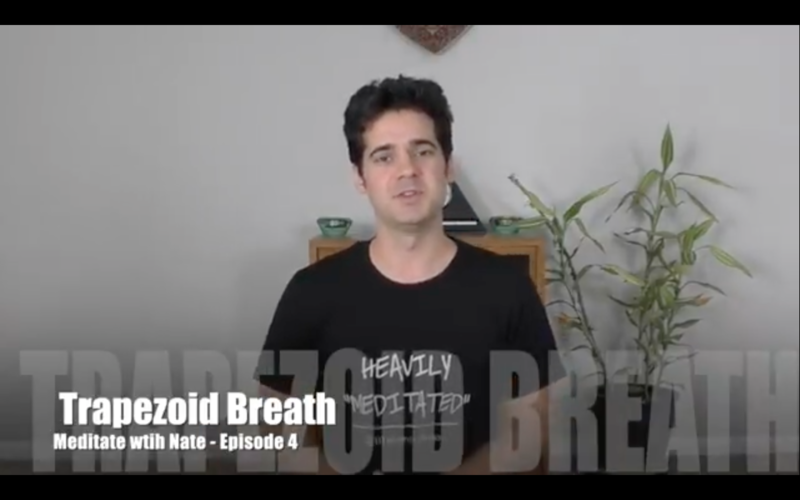 I hope that you enjoy this Trapezoid Breath Meditation, let me know how it goes for you! Please write any questions or suggestions in the comments and make sure to subscribe to this channel to get the next video! Subscribe to the Bo Yoga YouTube Channel here and you will get notifications when I release new videos each week. Nate Guadagni has been teaching yoga, qi gong and meditation full time for over thirteen years and is the founder of Bo Yoga®, a rapidly growing health and wellness system. His mission through Bo Yoga is to make mindful movement accessible to all people by providing innovative props and training techniques and adapting to student's diverse needs. He is the author of Bo Yoga: 7 Essential Values to Energize Your Life and has produced three DVDs: Bo Yoga for Beginners, Bo Yoga Basics and 5 Elements Qi Gong. He has also created online courses and leads national workshops and teacher trainings around the country. He is a member of the Yoga Alliance and the International Association of Yoga Therapists. His most recent training is Sarahjoy Marsh’s 500 Hour Yoga Therapy Program.